The Leopard Print Camel Halloween costume is absolutely adorable. 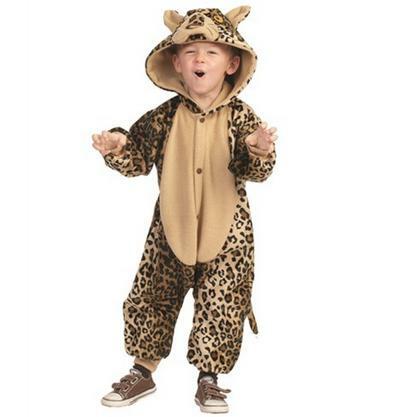 Fun and comfy, this toddler size Leopard or Cheetah costume includes a Leopard print polar fleece jumpsuit with attached tail and cat face and ears on the hood, snap front closure, and two pockets. Great for boys or girls! Size 3T-4T: 32 inches long from shoulder,34 inches in the chest.